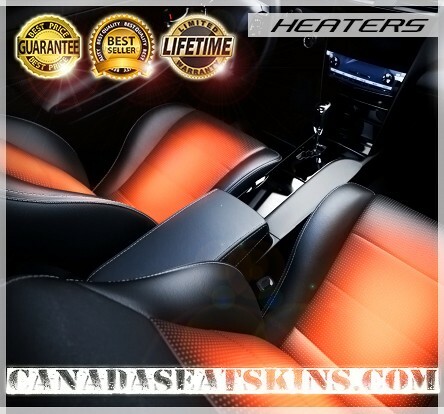 Add comfort and warmth to your vehicle with our premium quality automotive seat heating packages available in 2 and 4 seat bundles as well as 12, 20 and 50 set wholesale boxes. 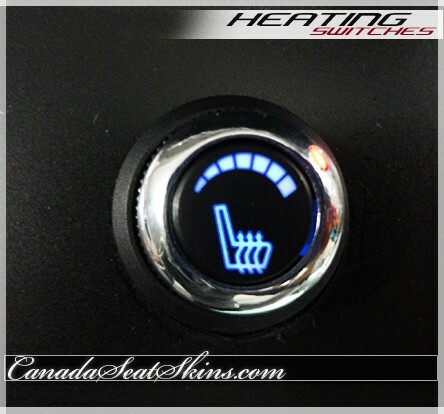 Our premium quality carbon fiber series automotive seat heating kits can be installed in vehicles with cloth or with factory leather and are backed by a lifetime warranty for piece of mind. Installation instructions and product downloads are located under the "colors and diagrams" tab. 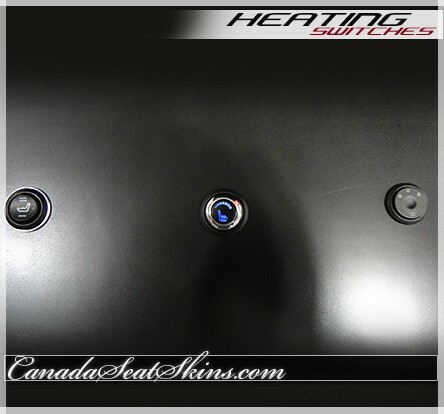 Our premium carbon fiber seat heating packages can be installed under your vehicles factory cloth or factory leather upholstery and are ideal for use in combination with one of our custom leather interior packages. 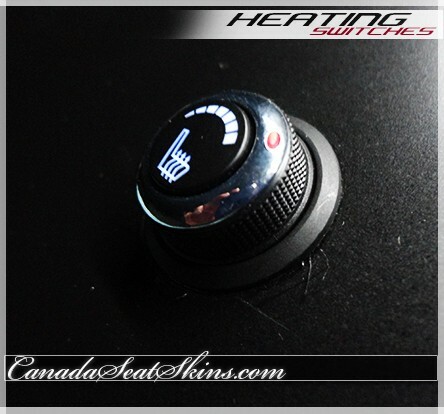 Select from 3 different switches and 2 heating pad widths based on your application. What Switches Are Available ? Standard Rocker Switch : This switch offers simple 2 wire installation and high / low / off function. 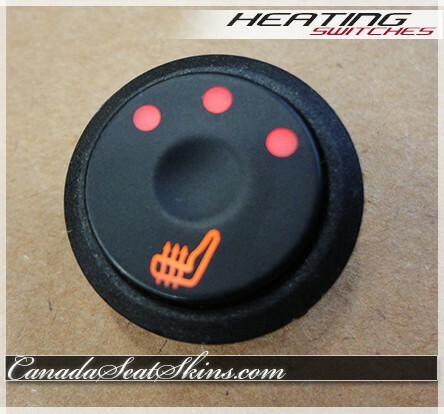 This switch can be placed on the side of the seat and is recommended for use in remote start applications as the switch can be left in the "on" position for preheating next time the vehicle is started. Available with or without machined aluminum trim bezels. 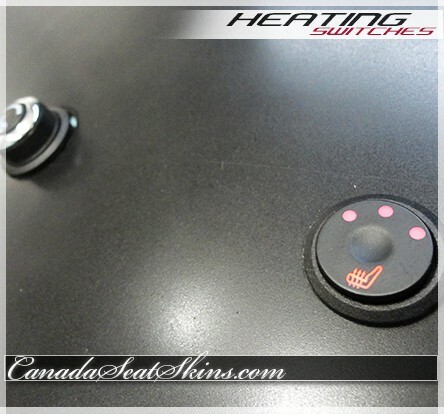 Advanced Function Press Switch : This switch offers high / medium / low settings and includes red back lighting. This switch is recommended for applications where dash mounting is preferred. This switch resets to off when the ignition is turned off and must be placed in a visible location. 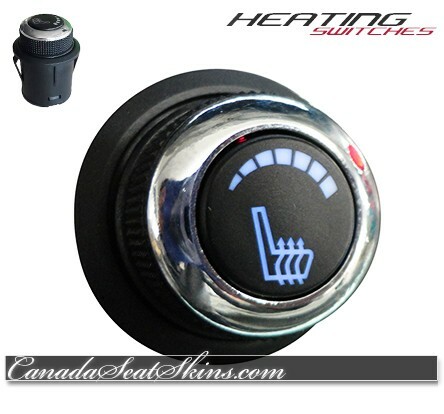 Precision Dial Function Chrome Knob : This premium switch offers 6 dial selected heat settings with smooth function and includes blue back lighting. This switch is recommended for applications where dash mounting is preferred and is simply stunning. This precision function compact switch is recommended for use in remote start applications as the switch can be left in the "on" position for preheating next time the vehicle is started. Why Are Our Seat Heaters Superior ? 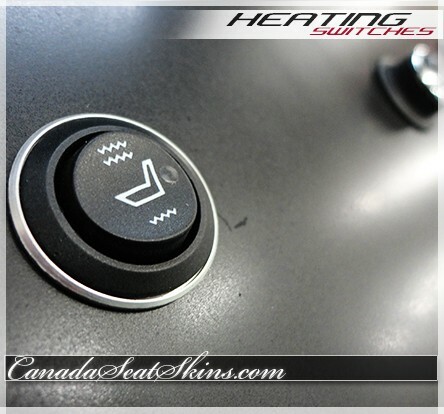 Our seat heating kits effectively and evenly heat both the upper lean back area and the lower seat cushion, not just a small section of the lower cushion like many economy brands. OEM grade 1K carbon fiber heating elements provide longer life and better performance than low quality "look-a-like" carbon and economy wire resistance pads which are small, weak and prone to failure. Our premium 1K carbon fiber heating elements use extreme duty 1.5 mm thick synthetic fabric media which is virtually impossible to tear. Cheaper "look-a-like" versions use 0.9 - 1.1 mm light duty fabric media which is easily damaged and can be torn by hand. Each of our heavy duty wiring harnesses comes fully loomed with 10 amp in line circuit protection already installed. All of our harnesses have large 14 awg power feed wires vs low performance 20 awg power feed wiring found on economy brands. Our best in the business carbon series heating elements are backed by an unlimited mileage limited lifetime warranty. If an element, switch or harness fails under normal use we will replace it. Period. Whats Included In our 2 Seat Kit ? 4 Large 11" x 15" premium grade 1K (1.5 mm) carbon fiber heating pads with an effective heated area of 9" x 15" (or an optional 10.25" narrow inlay carbon pad for models like the F150). Your choice of 2 black standard (high / low) toggle switches , 2 black advanced feature press function (High / Medium / Low) switches or 2 precision dial switches designed to blend with your interior. Standard switches include an LED indicator and can be ordered with optional machined aluminum bezels. Deluxe switches include a back lighting feature and reset to off with the ignition. 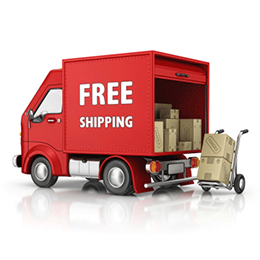 Free Expedited delivery in the continental USA. Whats Included In the 4 Seat Kit ? 8 Large 11" x 15" premium grade 1K (1.5 mm) carbon fiber heating pads with an effective heated area of 9" x 15". 4 heavy duty plug and play wiring harnesses, fully loomed with built in circuit protection and switching relays. Just run a ground and switched 12v source. Your choice of 4 black standard (high / low) toggle switches , 4 black advanced feature press function (High / Medium / Low) switches or 4 precision dial switches designed to blend with your interior. Standard switches include an LED indicator and can be ordered with optional machined aluminum bezels. 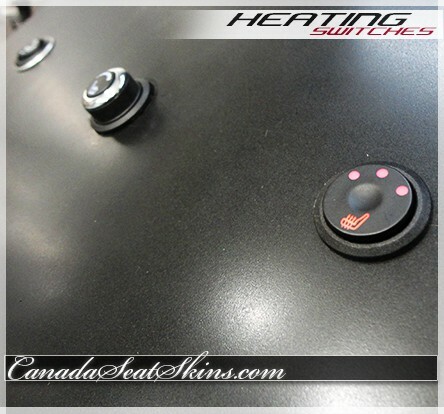 Deluxe switches include a back lighting feature and reset to off with the ignition. 2 wiring harness extensions for the rear seats. Whats Included In the 12, 20 and 50 Seat Wholesale Boxes ? 12 Seat Wholesale Kit : The 12 seat kit includes 24 large carbon fiber heating pads, 12 switches and 12 wiring harnesses. This kit heats 6 vehicles. 20 Seat Wholesale Kit : The 20 seat kit includes 40 large carbon fiber heating pads, 20 switches and 20 wiring harnesses. This kit heats 10 vehicles. 50 Seat Wholesale Kit : The 50 seat kit includes 100 large carbon fiber heating pads, 50 switches and 50 wiring harnesses. This kit heats 25 vehicles. All wholesale packages include expedited delivery across Canada and the continental USA with full insurance and a direct signature confirmation required on delivery. (NO PO BOXES). Please call to order. 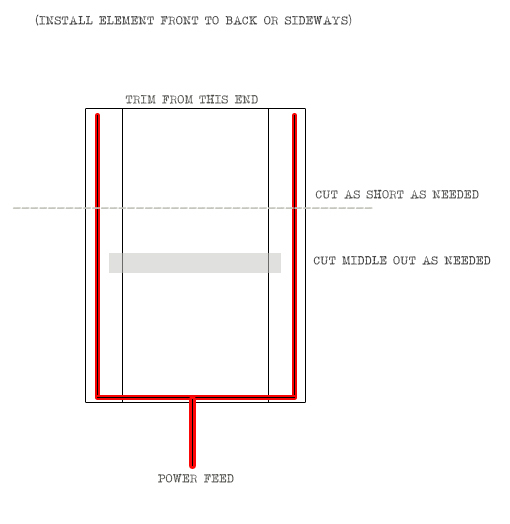 Switches should be pressed into place using a socket that engages the outer bezel only. When drilling the mounting holes it is best to start small and work your way to a perfect fit using a round file or extra rotations of the correct size bit. Create a small indexing notch matching the location of the anti rotation pin molded into the switch housing with a file or knife. If installing a basic toggle switch and the switch feels like its binding, enlarge the mounting hole slightly and reinstall until operation is smooth. Fine tune the hole diameter so medium to light pressure sets the switch securely. All Electrical testers, zip ties and tools are provided as convenience items to our customers. These ship free in with your seat heater package. Fabric cable ties are Velcro backed and reusable. These items are not available separately. We offer a warranty covering the function of the heating elements, switches and wiring harnesses for the life of the vehicle under normal use. If any component should fail through normal use we will replace it free of charge with your proof of purchase. Please note that this warranty is limited to replacement parts only and to a total value of the original purchase price only. Under no circumstances does the lifetime warranty cover labor cost or damage to person or property. Installation error, installation damage, misuse, water damage, improper fusing or incorrect wiring are not covered under this warranty.